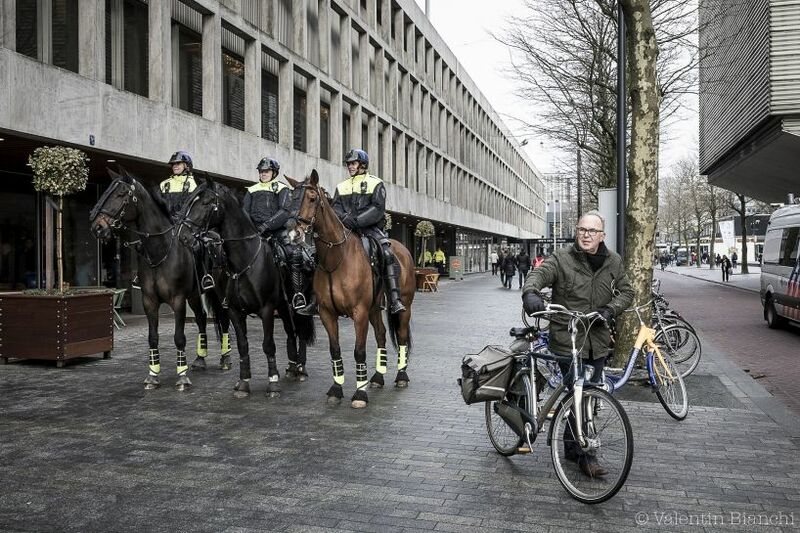 Rotterdam, Netherlands. 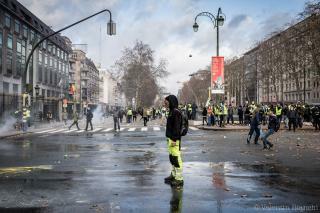 20 January 2018. 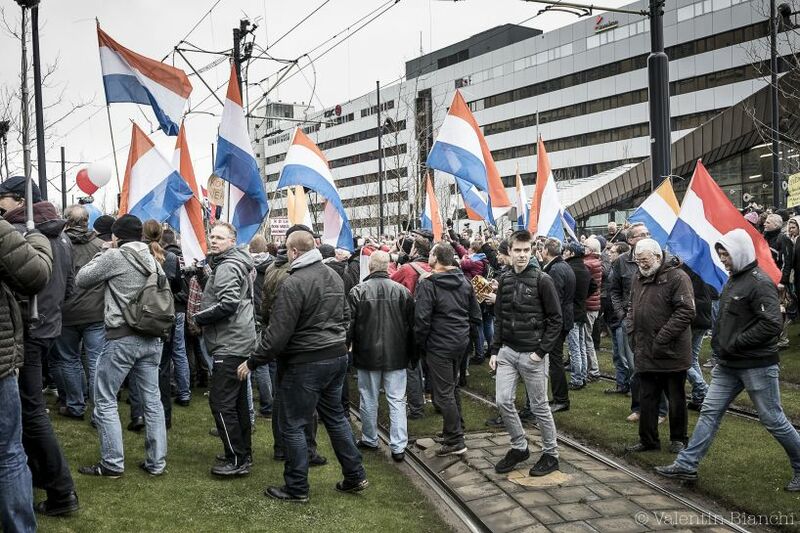 The center of the city of Rotterdam hosted this afternoon an anti-Islam demonstration organized on the initiative of Geert Wilders of the PVV party. 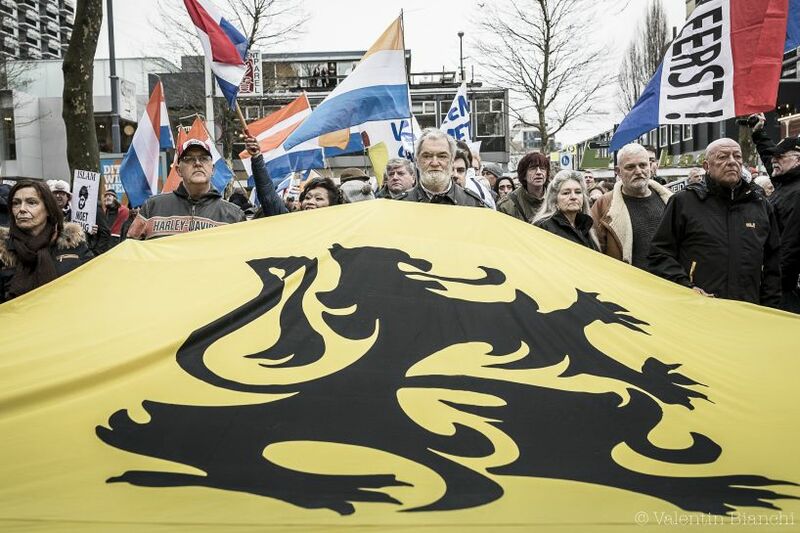 Thousands of people, supporters of Geert Wilders but also members of far-right groups and Belgian Flemish nationalists were present to support the candidate of the PVV party. 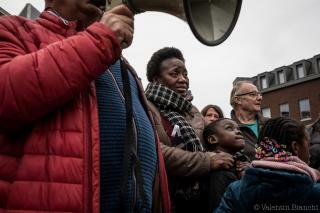 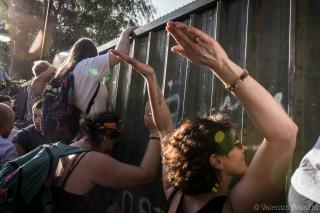 The police was present in large numbers, which did not prevent some altercations with opponents of this demonstration. 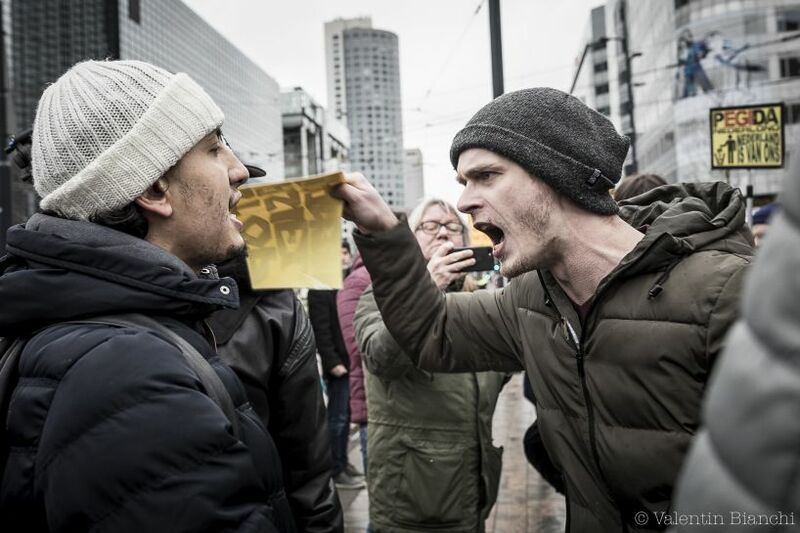 Confrontation between two demonstrators during the anti-Islam protest organized in the center of Rotterdam, the Netherlands on January 20th, 2018. 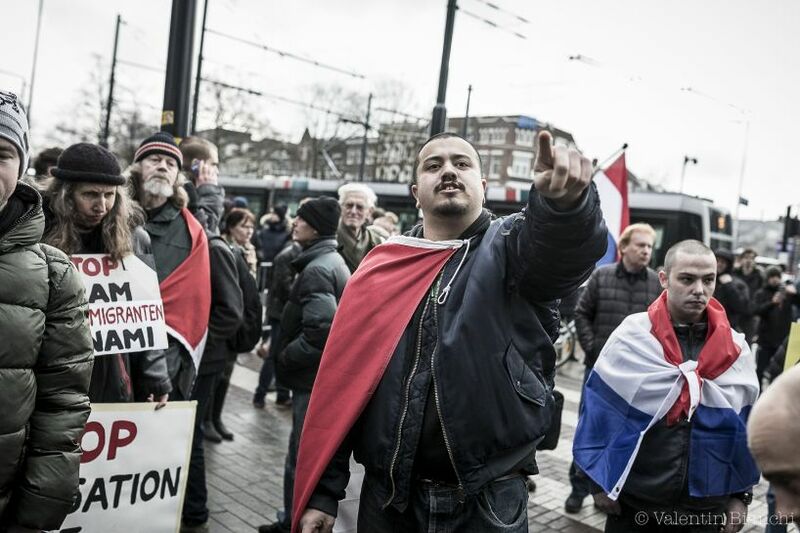 Anti-Islam Protest in the center of Rotterdam, Netherlands on January, 20th, 2018. 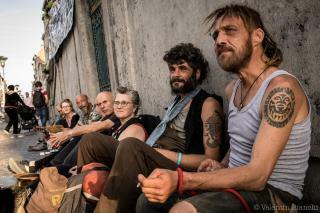 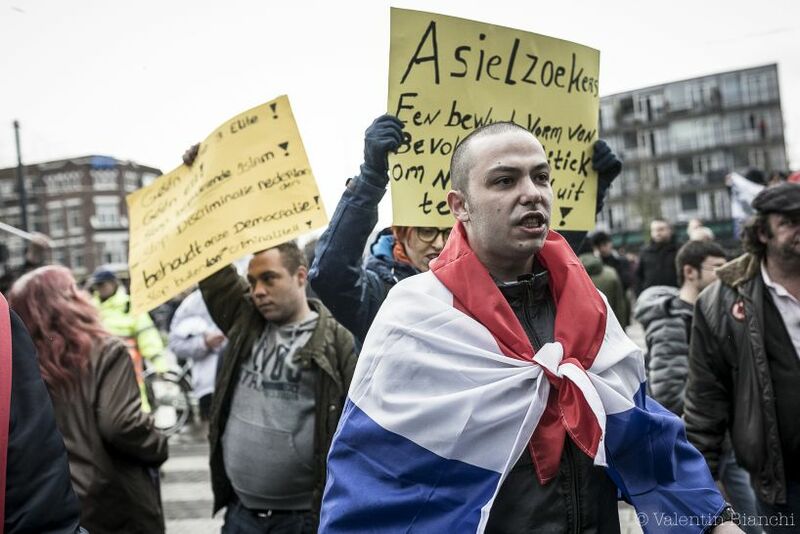 This protest is on the initiative of Geert Wilders from the PVV party. 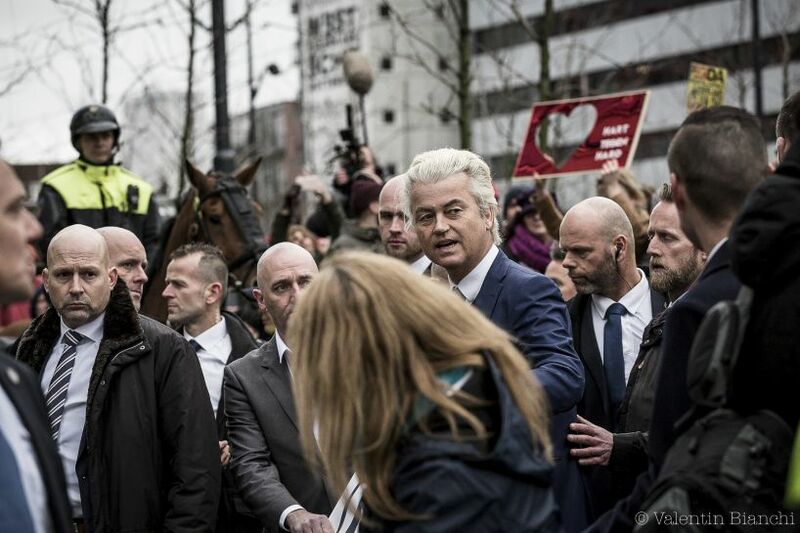 Geert Wilders of the PVV party arrives at the starting point of the anti-Islam protest in the center of Rotterdam, the Netherlands on January 20th, 2018. 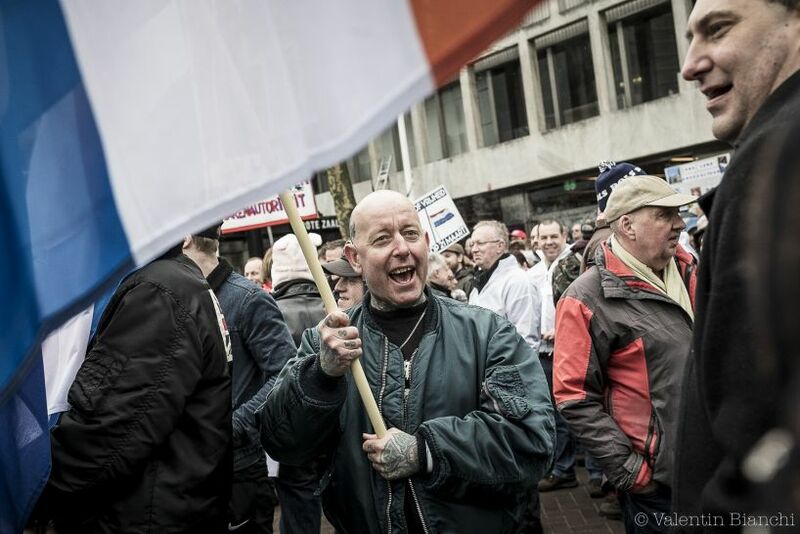 PVV party supporters with far-right members arrive in large numbers at the starting point of the anti-Islam demonstration in the center of Rotterdam, Netherlands on January 20th, 2018. 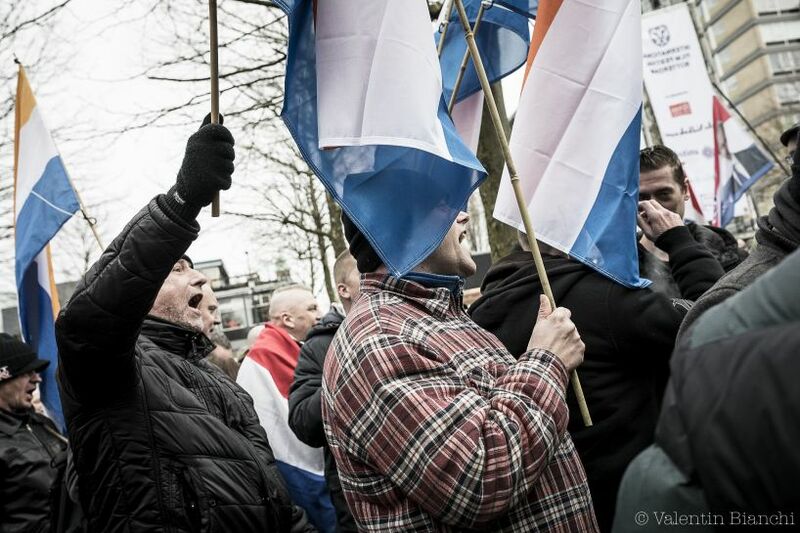 Members of the Belgian party Vlaams Belang come to support Geert Wilders at the start of the anti-Islam demonstration in the center of Rotterdam, Netherlands, on January 20th, 2018. 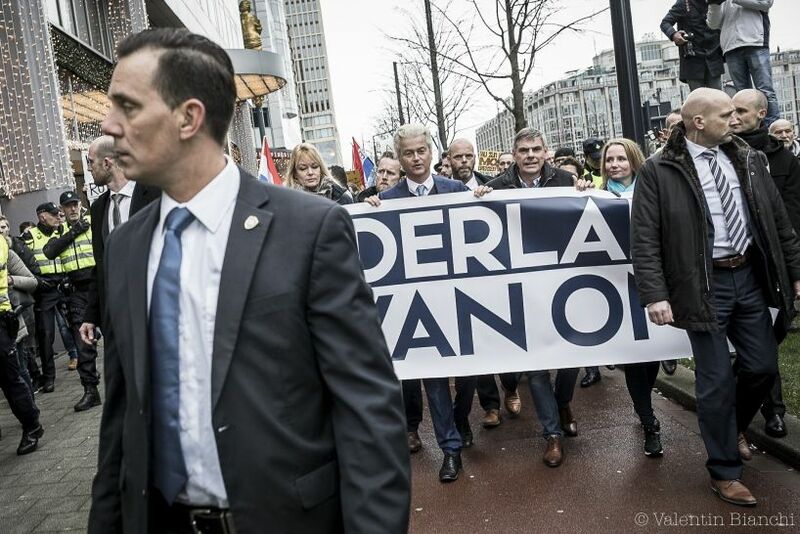 Geert Wilders of the PVV party, along with Filip De Winter of the Belgian Vlaams Belang party, lead the anti-Islam demonstration in the center of Rotterdam, the Netherlands on 20 January 2018. 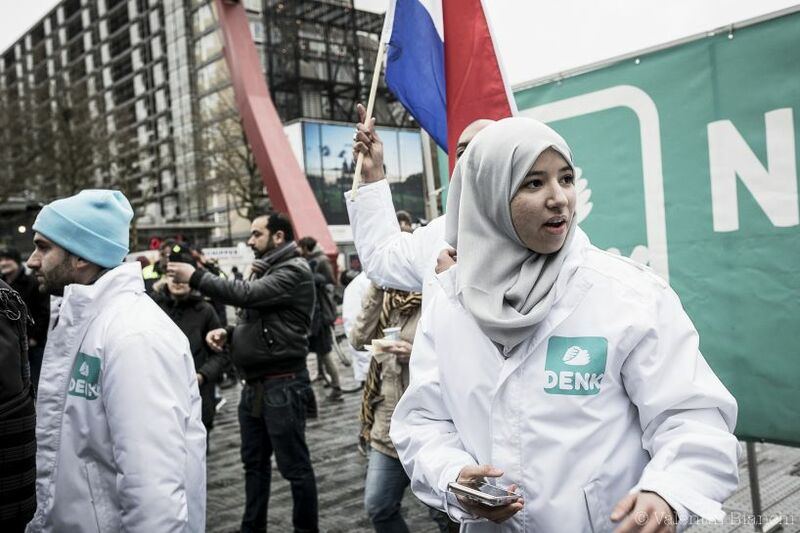 Members of the Denk Party, party defending the Dutch of foreign origin, come to show their dissatisfaction during the anti-Islam demonstration held in the center of Rotterdam, the Netherlands on January 20th, 2018. 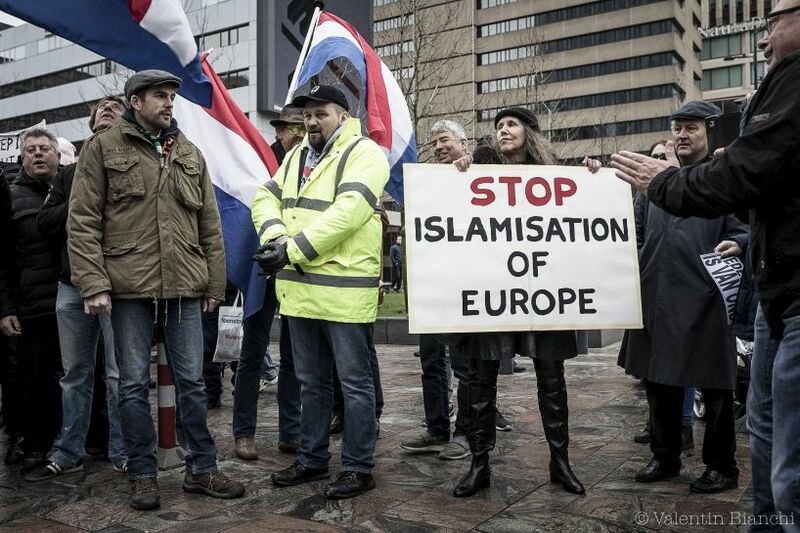 On January 20th, 2018, police are present in large numbers to secure the anti-Islam demonstration organized in the center of Rotterdam, the Netherlands, at the initiative of Geert Wilders PVV party.